On March 12, 2018, the first “District Governor Quality Award of Xuhui District" award ceremony was held at the Shanghai Film Museum in Xuhui District, Shanghai. 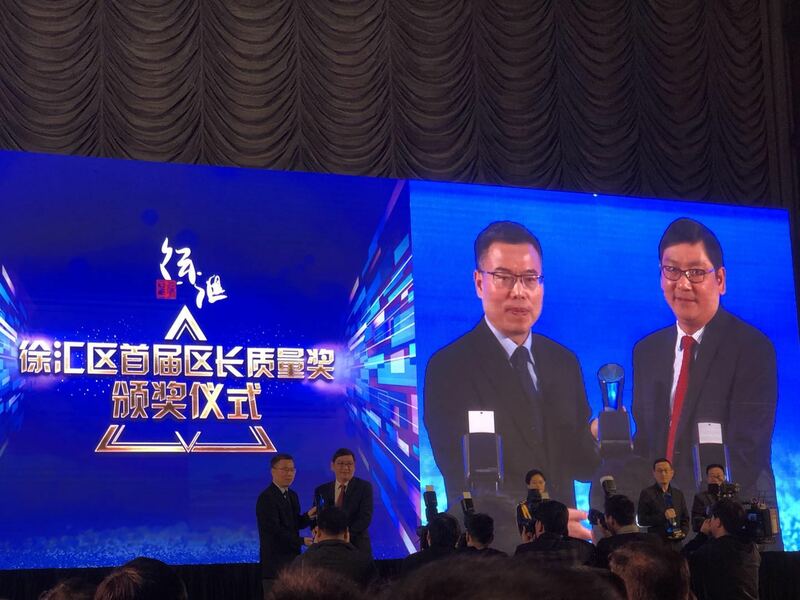 Gan Rongxing, chairman of Shanghai Clinical Research Center Co., Ltd. (hereinafter referred to as "SCRCCO") was awarded the first individual award. This year, “District Governor Quality Award of Xuhui District” has set up 3 organization awards and 3 individual awards. This award is the recognition of the past work and achievements of Gan Rongxing and SCRCCO. Gan Rongxing, who has been engaged in life science and drug clinical research for more than 20 years, has set up the core organization of clinical research on innovative drugs and the international platform of public service, and persevered in our country's health-care and drug innovation work. He aims at the weak link of drug innovation in China, and adopts the research means and technical standards which conform to the international norms. Through the systematic establishment of high quality, standardized management mode and quality management system, he integrates and optimizes the advantageous resources of various stages of clinical research, and establishes an international standard with frontier synthesis. The full process research and development and service platform of clinical research provides a strong support for China's drug innovation, effectively promoting the improvement of the level of clinical research in China, and contributing to the contribution of Xuhui to the development of health-care industry in Shanghai and the whole country. As a member of the third China human genetic resources management expert group of the Ministry of science and technology of the state, a member of the national key expert group on chronic disease, a researcher at the Shanghai Academy of life sciences of the Chinese Academy of Sciences, a member of the BBMRI-ERIC International Advisory Committee, and the winner of the outstanding tribute award of the international biological sample library in 2016, he has been constantly innovating to promote the development of China's health-care industry. Gan Rongxing said that he would take this as the starting point, from the service, to the strategic height of the national and Shanghai industrial development, to "build health-care industry highland with international influence", and to adhere to the high starting point and the highest standard of international standards, and tightly around the two major goals of "the big tree and the transformation of achievements". 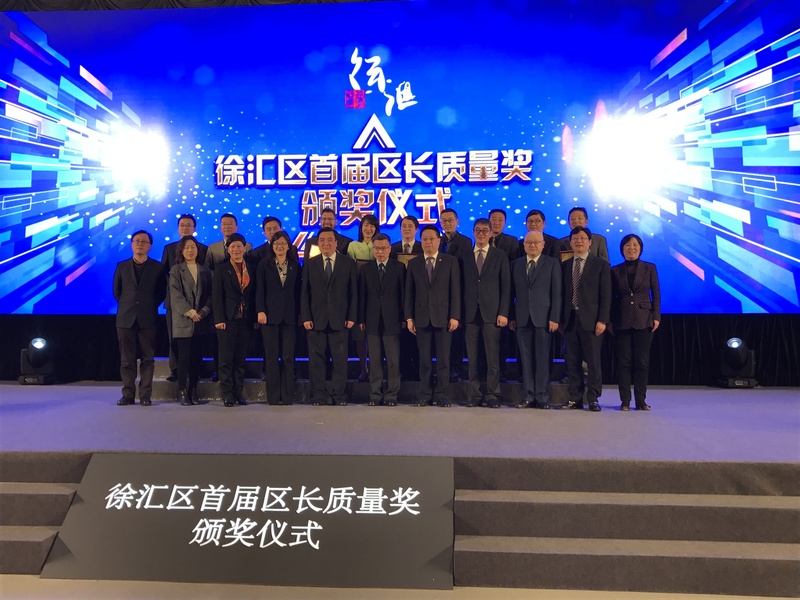 Fang Shizhong, deputy secretary of Xuhui District Committee and district director, expressed the hope that by creating “District Governor Quality Award of Xuhui District". More enterprise organizations and individuals should be encouraged to set up the value orientation of "quality first", and to promote a new round of regional development with "high quality development, high quality life and high level management". The strategy is placed in a more prominent position. Xuhui District will start from the most favorable and most advantageous areas, strengthen the development of endogenous power and innovation ability, and strive to build Xuhui District into the core area of Shanghai "four brands", and in some key areas to become a demonstration of the city's benchmarks. In June 2017, through the special topic of the executive meeting of Xuhui District government, “District Governor Quality Award of Xuhui District" was formally established. 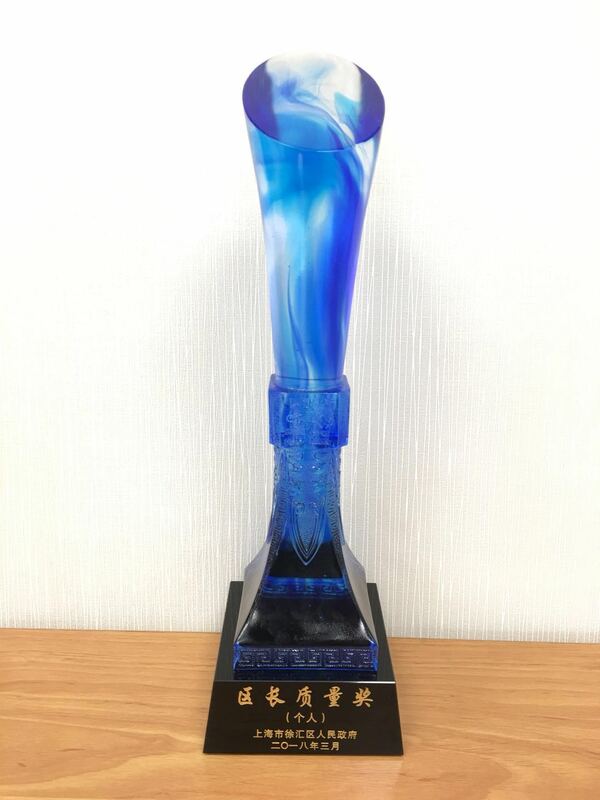 As the highest quality honor in Xuhui District, “District Governor Quality Award of Xuhui District" is designed to grant all kinds of organizations and individuals to implement quality management and achieve excellent performance and social benefits. After voluntary declaration and recommendation by the relevant units, the first “District Governor Quality Award of Xuhui District" has 17 organizations and 12 individuals to declare 29 units.